The fun doesn't have to stop just because the sun's gone down, in fact it's even more fun to play at night with the light up ring toss! Test your skills and challenge your friends with a highly addictive game of ring toss that's even more exciting after dark! 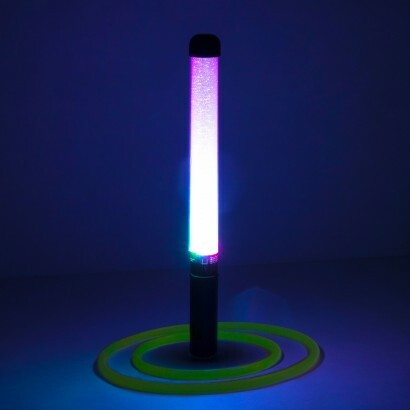 Simply place the LED baton into the ground using the ground stake included, choose from one of three light settings and aim the three glow in the dark hoops included over the light stick before declaring yourself winner! Brilliant fun for parties, BBQs, camping and more, light up ring toss is perfect for summer nights. Light stick has three settings!